Spain is facing a steep uphill climb to meet new EU recycling targets approved by the European Parliament Tuesday, which call for 55 percent of all municipal waste products to be recycled by the year 2025 and 65 percent by 2035. 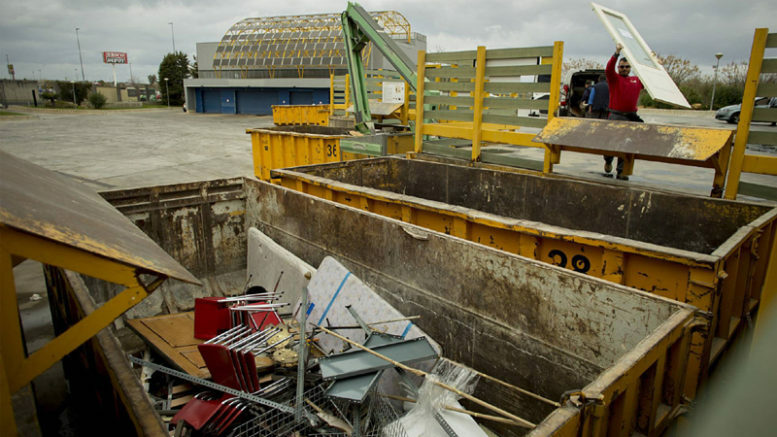 The latest available figures show the waste recycled by municipalities across Spain stood at an average 29 percent at end-2016, falling far short of the 44 percent EU-wide average and ranking Spain among the eight-worst recyclers in the EU last year. At present, Spanish municipalities discard on average 56 percent of all waste directly into municipal dumps with no recycling whatsoever. Environmentalists like Carlos Arribas of Ecologistas en Acción have said the difference is all but “impossible” to make up by the year 2025. But Spanish government and private sector leaders say they are pulling together with a plan known as the Pacto de Economía Circular , a public-private partnership designed to help move Spain from a “linear economy” that necessitates massive amounts of recycling toward a more integral and sustainable approach to manufacturing and product consumption. Those efforts by the Pacto, which currently includes membership by 247 public- and private-sector organizations and companies, were the focus of the second “Forum on Recycling and the Circular Economy” conference headlined last week Javier Cachón de Mesa, general director for Quality and Evaluation of the Natural Environment of Natural Environment at Spain’s Ministry of Agriculture, Fisheries and the Environment. Industry and government leaders at the meeting discussed the government’s current plan through 2020 to reduce the overall amount of recycling required through the increased use of renewable resources, extending the life-cycle of products, incorporating eco-design criteria and promoting product efficiencies to cut down on product waste and stimulate sustainable consumption. The two-year plan has a budget of 836 million euros and according to Cachón de Mesa a longer-term plan through 2030 is expected to be approved by May of this year. While the Agriculture, Fisheries and Environment ministry says it would like to increase the level of recycling nationwide some 20 percentage point by 2025, that would still bring it short of the EU’s target projection of 55 percent. Part of the problem with meeting that goal is that recycling rates vary widely nationwide, with regions like Rioja having already surpassed in 2013 the goal of recycling 50 percent of all waste products, while municipalities in the Canary Islands, Madrid, Galicia and other regions still do not recycle even 20 percent of he waste generated each year.